If you build it, they will come, so the movie saying goes. But for the Lane family, customers came first, then the family decided it was time to build. 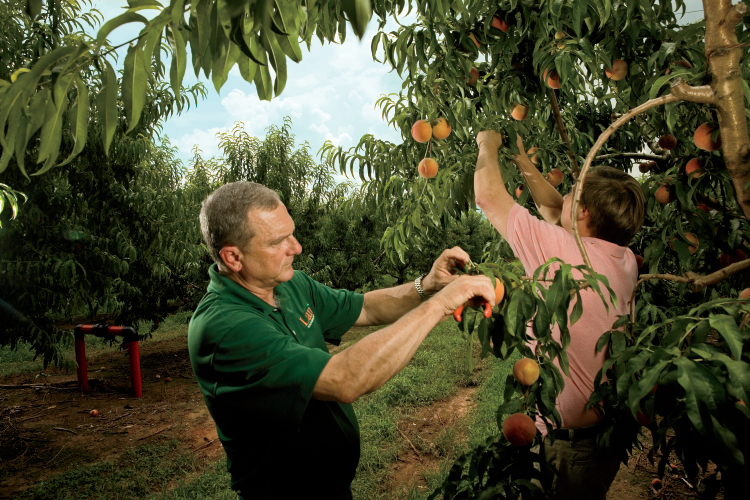 Lane Southern Orchards, a fifth-generation, 3,000-acre peach farm near Fort Valley, expanded into a tourist destination for peach lovers. Today, peaches abound here – from a catwalk, with a bird’s-eye view of peaches to fresh peach cobbler. Even their phone message drips with a Southern drawl as sweet as the peaches themselves. 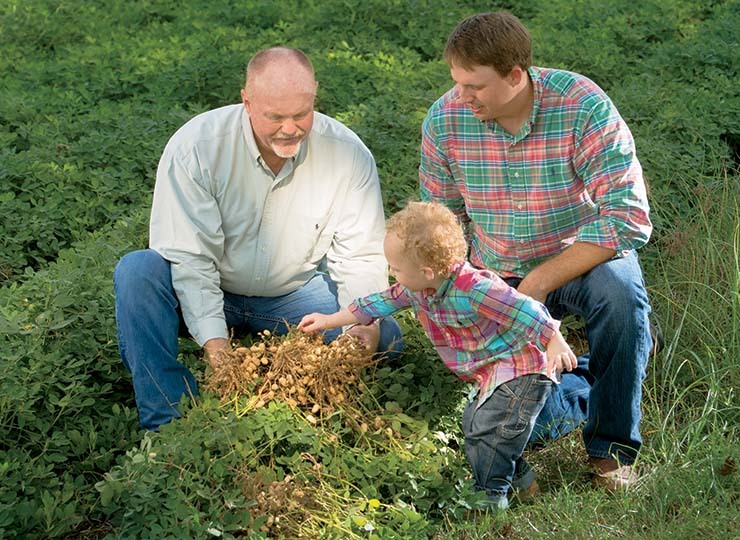 It began with his great-grandfather, who planted peach trees in the early 1900s. 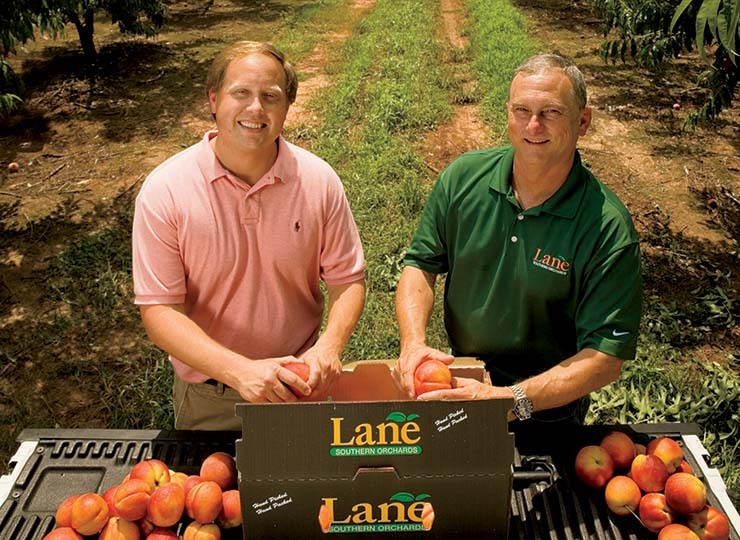 Despite ups and downs in the industry, the Lane family survived by emphasizing Georgia peaches’ sweet taste and educating consumers about it. Harvest starts in mid-May and goes through the end of August. Peaches are hand-picked, placed in containers and taken to the packing house. They’re immediately rinsed in cold water to stop further ripening, and are cleaned, graded and defuzzed, ready to be sold or shipped. 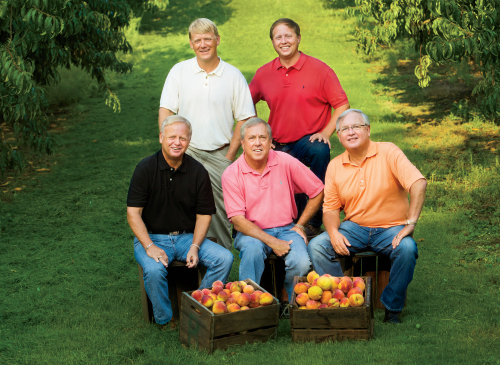 In Tifton, family-owned Rutland Farms is also offers farm-fresh peaches – and much more. The farm opened their on-site market in 2011 after Ryan developed the business plan for a college class. “Dad had been growing strawberries for 12 years, and the interstate runs right through the center of the farm, so we decided to take advantage of that,” Rutland says. They sell everything from fresh produce to honey to fresh baked goods. More than just the market, Rutland Farms is ahead of the game in agritourism efforts. They offer U-pick berries, peaches and pumpkins, corn mazes in the fall, school field trips and more. Rutland says they’re constantly looking for ways to grow. Future plans include a new structure for a petting zoo and planned events for holidays. Back at Lane Southern Orchards, visitors can take a self-guided catwalk tour to watch the process, or pay a minimal fee for a guided farm tour into the orchard. The real draw is the peach itself – made into ice cream, jam and more – sold in the gift shop. Acafé serves sandwiches and fresh fruit desserts. Annually, the facility draws 300,000 visitors. He credits the Georgia Department of Agriculture and the Agritourism Association with helping the business grow into a tourist stop. Calhoun farm connects with consumers.